The Mega Avalanche is finally here! This Sunday the madness kicks off with three divisions of mountain bikers making their way from the top of Cardrona all the way to the Cardrona Domain, 1300m of descent!! The week ahead is looking like a whole lotta fun – there has been a lot of trail work in the last week & we're psyched to get out there & hit some trails this weekend!! The weekend ahead is looking pretty great, with a possible couple of showers after the Mega Avalanche on Sunday, then staying relatively clear until Tuesday. The good folks at Snow-Forecast.com are predicting some much-needed rain for Tuesday/Wednesday which will make for some epic trail conditions for TGIF next Friday! Both Grasshopper & Hi Vis have had a lot of love from our trail fairies & the result is amazing! They're both riding soooo well at the moment – you've gotta come check them out! 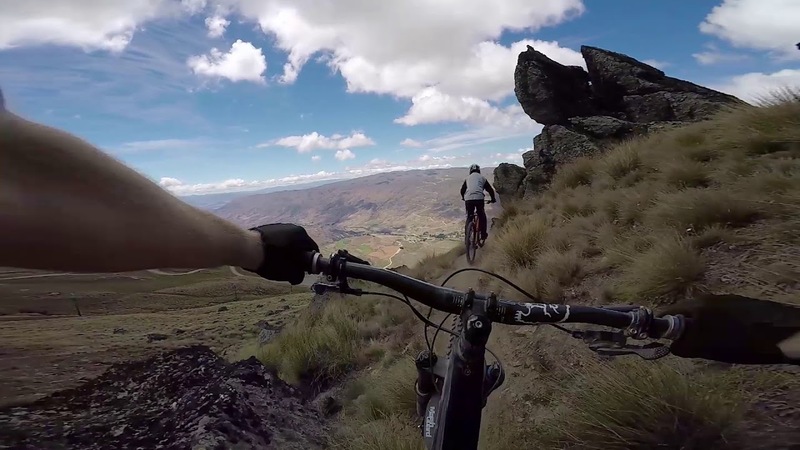 Check out our latest GoPro trail preview for DTL! Have you stayed up on the mountain yet this summer? We've got 15 on-mountain apartments & they're the best spot to explore the mountain from! Noodle Bar is open for dinner service every night, plus everyone who stays in the apartments gets a free gondola ride to go explore the top of the mountain via our walking trails, or just go take some photos & soak in the stunning views. You can enter in advance here! We're all set for another epic Mega Avalanche this Sunday – we'll see you all up here, whether you're entering or spectating!